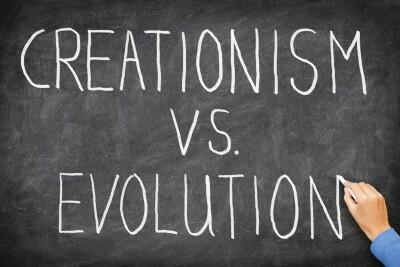 Is the ongoing debate between creationists and evolutionists a waste of time? Shouldn’t we Christians be about the business of sharing the Gospel of Jesus and not wasting time arguing about issues that are not vital to our faith? While the motives of those who think this way are admirable, we must not forget that the Genesis account of creation and the fall of humankind is crucial to our understanding of the Gospel message. The Genesis account sets the stage for all of humanity’s existence. What we believe about Genesis, and creation, is foundational to getting the rest of our theology right. Those who promote the theory of evolution ask us to doubt God’s word concerning creation. What is the ‘Theory of Evolution”? Some clarification is in order here concerning the meaning of the word ‘evolution’. I recently attended a creation/evolution debate where I kept hearing the person representing evolution state that present day biology is built upon evolution. This person finally explained that the ‘evolution’ she was speaking about was the change that was seen to take place within bacteria, viruses, germs, animals, and humans, etc. that allowed them to adapt to differing environments. As a creationist, I have no problem with this definition of ‘evolution’. The problem is that evolutionists take this concept of adaptation within a species and say that these changes can eventually result in one species changing into a different species. This is what is sometimes called the ‘molecules-to-man’ theory of evolution. This is the concept of evolution that says all life came from a simple, one-celled organism. This simple organism increased in complexity over time until it finally resulted in all the different forms of life we see today. This is the theory that rejects any participation by God; and it is this theory that is incompatible with Christianity. For the rest of this article, unless otherwise noted, this will be the type of evolution being referred to. It must be kept in mind that the creation/evolution debate is not a conflict between Christianity and science; rather it is a conflict between the truth of creation and the deception of evolution. The theory of evolution attempts to explain how we got here. Secular evolutionists adhere to the belief that science has answered the question of our origins and that God, if He even exists, had nothing to do with it. For those of us who hold the Bible to be God’s Word, evolution must be rejected. Often, the evolutionist will deny that their theory has anything to do with how life first appeared; it only seeks to explain how life evolved to what we see today. In this way, they hope to avoid openly admitting their rejection of God. Regardless, evolution flatly denies the record of creation found in the Bible. Let us look at what the Bible says. Genesis 1:1 begins the entire Bible with these words, “In the beginning, God created the heavens and the earth” (ESV). For anyone who believes the Bible, this should put to rest any doubt about Who made us. The first chapter of Genesis specifically says that God made, the heavens and the earth (v. 1), the stars (vv. 14-15), the sun and the moon (vv. 16-19), plants (vv. 11-13), animals (vv. 20-25), and humans (vv. 26-27). The New Testament writers also viewed the book of Genesis as being an actual historical record of real events. Consider the genealogies of Jesus given in Matthew 1:1-17 and Luke 3:23-38. If Adam was not a real person in history, then the genealogies of Jesus, which go all the way back to Adam, would be saying that Jesus was descended from an imaginary, mythical figure. The apostle Paul often referred to the Genesis account of creation in his teaching: He said the serpent deceived Eve, not Adam (II Corinthians 11:3; I Timothy 2:13-14). He believed Adam was created first and Eve was made from Adam’s body (I Corinthians 11:8-9). The apostle Peter spoke of Noah and the flood as history (I Peter 3:20; II Peter 2:5), and Sodom and Gomorrah as being actual cities (II Peter 2:6). In addition, Jesus repeatedly used examples from the Old Testament in His preaching and teaching, in effect placing His stamp of approval on its historicity. Jesus even quoted verses from the Old Testament when He was tempted by Satan in the wilderness. Surely, if the creation account were a mere myth, Jesus would have made that clear and not based His teachings on so many of the events of the Old Testament. Did God use Evolution to Create Us? There are several ideas being offered in an attempt to compromise creation with evolution. Some people think that God used evolution to create us. This type of thinking comes from the belief that scientists have proven that the earth is millions or billions of years old. Therefore, in order to harmonize the creation account found in Genesis (which says it all took place in a matter of days); non-literal scenarios have been concocted. 1. The Gap Theory – This says that there was a gap of thousands, or millions, of years between Genesis 1:1 and 1:2. 2. The Day-Age Theory- This theory posits that each day mentioned in Genesis was actually a much longer period, perhaps thousands, or millions, of years. 3. Theistic Evolution- This theory posits that God created the basics, got the ball rolling, and stepped back to let the evolutionary process work on its own. 1. When God finished the creation week, He pronounced everything “very good” (Genesis 1:31). These compromise theories all say that God created a less than perfect world, which then ‘evolved’ into something better. Was God mistaken when He pronounced His creation very good? Did the evolutionary process have to improve upon God’s initial job of creation? This hardly describes the biblical God found in the Scriptures. 2. The evolutionary theory of natural selection is based on survival of the fittest. This means that animals with better instincts and better fighting skills would triumph over and kill the weaker animals. This, in theory, would result in improvements in the gene pool of succeeding generations until the animal world ‘evolved’ enough to produce man. However, the biblical record says that there was no death until Adam and Eve disobeyed God and sinned (Genesis 2:17; Romans 5:12-21; I Corinthians 15:21-22). Therefore, according to the Bible, there could not have been thousands, perhaps millions, or billions, of years of violence and death prior to the fall. It cannot be both ways. Either the Bible is true and evolution is a lie or evolution is true and the Bible is in error. The choice is God’s word or man’s word. 3. If there were great lengths of time between creation of the universe and the creation of man and woman, then Jesus was mistaken when He said, “But from the beginning of creation, ‘God made them male and female’” (Mark 10:6 ESV). How else can this be understood except in the most clear and obvious way? Jesus Christ, God in human flesh, is telling us directly that Adam and Eve were a part of the creation week. The fact is that science has not proven the age of the earth. Many times the impression is given that scientists are smarter than regular people are, so if we disagree with them, their opinion is right and ours is wrong. They try to convince the average Christian that the Bible is mistaken, or simply written in a manner primitive man would have written in order to describe things he did not understand. It is said that now we have the scientific understanding to explain, and therefore, correct the biblical record. However, if the Bible is God’s word to us, we can be confident that it contains no mistakes at all. Or are we to conclude that it was out of God’s control to protect the message He wants us to have? Ken Ham writes, “Once you accept evolution and its implications about history, then man becomes free to pick and choose which parts of the Bible he wants to accept.” (1) He goes on to say that many important biblical doctrines are dependent on the truth of the first chapters of Genesis, such as Paul’s teaching on the doctrine of sin (Romans 5:12, 15, 17; I Corinthians 15:22), Christ’s teaching on the doctrine of marriage (Matthew 19:4-9), and the warning of future judgment (Matthew 24:38-39; Luke 17:27; II Peter 2:5). When one denies the historicity of the creation account, the foundation is pulled out from under these other vital doctrines. Those who promote the theory of evolution ask us to doubt God’s word concerning creation. This is exactly what the serpent suggested to Eve. That is what led to Adam and Eve’s rebellion in the Garden of Eden. They doubted what God had told them concerning what would happen if they disobeyed Him. The more I study this issue, the clearer it is to me that the first book of the Bible, as well as all Scripture, can be taken at face value and trusted. We know Who the author is; we know His character, His love, and His mercy. We can trust His Word. The only record we have of the creation events is contained in the Bible. The Bible was written by men who, “…spoke from God as they were carried along by the Holy Spirit” (2 Peter 1:21 ESV). Therefore, we have God’s description of creation contained in the book of Genesis, and other places in the Bible. When we compromise the truth by allowing worldly ideas to force us to reinterpret the Bible, we open ourselves up to the possibility of even more dangerous compromises. Consider that there are many who reject the idea of Jesus’ resurrection because secular science says that resurrections cannot happen. The theory of evolution challenges the clear biblical record that says God created the universe. It is important that believers take a stand against this teaching. There are many resources to help the Christian become educated about the falsities of evolution. These resources also contain evidence for the biblical view and are very helpful in informing, and thus encouraging, the believer. The Institute for Creation Research and Answers in Genesis (both can be found on the internet) are wonderful websites for those who believe in biblical creation. The Bible says that God, not evolution, created the universe. Science says that the universe came about through an unguided process. Whom should we believe? Whom will we believe? Who Was Cain’s Wife? Does This Contradict The Creation Story? I like using the word “compromise”. I stick to the idea that is we can not believe all of God’s word then how can we believe any of it? Another great article Robert! PRAISE be to God! All the glory goes to Him. If it weren’t for His strength and guidance, I wouldn’t even be able to think, let alone write. Christians need to be able to be confident that the Word of God is not only true, but understandable. Those first believers in God relied on His Holy Spirit to guide them into understanding. I think it’s safe to say, so can we. This article is going to help out many people Robert. You packed a lot of good knowledge into this one! I like how you posed the question, “did the evolutionary process have to improve upon God’s initial job of creation?” I have never thought of that argument. You sir have a great gift of explaining things in a very easy to understand way. People who try to explain God and evolution in their own way cannot be true believers of the Bible. Anyone who believes in theistic evolution cannot be a creationist when they are supporting deism. It is impossible. There are no gray areas. Everyone must decide to believe the entire Bible or none of it at all. That really is the only two choices. I really enjoyed this article! Nice job! It is my prayer that God will use what I write to touch the hearts and minds of the people He loves. I never want to be seen as someone who merely wants to win an argument, but as one who truly wants others to know God and His Word. God bless you. This is one of the best commentaries I have read on this topic. Having read this, I feel much more comfortable getting into a discussion with someone about why I am a creationist. I pray many read this article. Truly, a great job that was clearly God inspired! Robert, this is truly a sterling work. It is rational and full of logic in the explanation for the creation. For those who argue for a “billion” year old earth and billions of years old universe, I have always considered the fact that God created a mature universe. The Garden was already yielding fruit, the mountains were already formed, humans were made in maturity and of child-bearing age, so why could not God have created a mature (aged-appearing) earth and universe. I so wish we had more logical apologists such as you that used common sense in approaching the incompatibility of creation and evolution. Once again, you exceed all expectations. Thank you and I thank God for you sir. Thanks Jack, you are too kind. Your comment brings up a good point. How would you create a rock that “looked” young? What would it look like? The dating methods used today, for the most part, involve an incredible amount of assumptions. If any of these assumptions are incorrect, the dating method is flawed. Anyway, I’ve ranted enough. God bless you, Jack…and thank you again. This topic is truly important to me, because I see the account of creation as foundational to Christianity as a whole. The secular world is attacking the historicity of the Genesis account, believing that, by making people question it’s validity, they create doubt about the entire Bible. I remember my educational years in public school, being taught nothing but the theory of evolution when it came to how we got here. The biblical account of creation needs to be known. It is not childish, nor unscientific in any way. Too many people simply do not investigate the facts. God recorded those events in a clear way that we can understand. We can have confidence in the Bible…Genesis through Revelation. I’ll admit that I’ve often shyed away from the debate of Creationism & Evolution. Not because of a lack of certainty as to a biblical/Genesis position but because of what I considered to be too many Christians just being hung up on or overly consumed with the topic to the degree of creating more division between those who embrace a evolutionary position. Also there are too many believers so consumed with the topic that it seems as if they have abandoned all else of what it means to be daily living out our faith in every other Christian sphere. Thank you Robert for boiling this important debate down to some of the basics and informing/equipping the believer to better tackle the subject. We are indeed called to think through these things and give biblically informed answers and in so doing share the Hope that is in us. Your point is an important one. The Gospel of Jesus Christ is the center of our faith. Everything we do, say, and write must be motivated by a desire to be faithful to that message. If we convince someone the earth is young, but never introduce them to Jesus, we have really failed the Great Commission. Thank you for your comments and God bless you and yours. just found this blog , good stuff. Thank you for the kind words, Tom. I am new to writing for the site, but my experience here has shown me that the purpose of this site is to glorify God, introduce sinners to Jesus, and help believers grow in their relationship with Him. Remember us in your prayers and feel free to interact. God bless you. I found this article intresting and I love the last sentence. Thanks for reading and commenting. I read the article you suggested. I’ve heard this theory before, but find that it contains much speculation that has no support other than the imagination of man. Many of the concepts put forth in the theory are merely attempts to make the Bible fit with the ‘supposed’ scientific facts concerning the age of the earth. There is solid scientific evidence that suggests a problem with current dating methods. Anyway, there is no true scientific fact that conflicts with the literal Genesis account of creation. Now, there are many ‘interpretations’ of those facts, and some are made to conflict with Genesis. But, nothing will ‘prove’ any part of the Bible wrong; it is God’s Word. I appreciate the article and it makes some sound points, but it also has some flaws. I do believe that understanding what is actually meant by the term evolution is key. I use to get caught up in this tossing back and forth, but not any more. “IF” God created the universe, the earth and then mankind within 7 -24 hour days (time as experienced on earth) then so be it. However, we know time is experienced (lack of a better term) much differently within the whole of the cosmos. From what point in time did God create? God is infinite. God can see past, present and future all at once. God has no beginning and no end. What is time then to God. The genesis account is discussing cycles of His creation and those cycles created by the Creator to sustain the creation were created perfect no matter what the actual time frame or the matter used in the finite mind of man. To argue that is really a mute point. A total waste of time. Time, gravity and disobedience corrupts that which was perfect. We experience this every day. If it were not for God’s justice and mercy man could not physically survive on earth or be spiritually recieved by Him otherwise. If not for grace cycles of refreshing would not come. Science is nothing more than the gradual revelation of God’s creation and the natural laws set in motion that sustain it. God’s thoughts are not man’s thoughts and they never will be. We cannot prove the substance of God, but we see and experience His thought manifestation everywhere. Yes, science has some facts and the rest is theory until time and man’s maturity in grace arrives at the whole truth. People of faith should understand by now that good and evil dwell together and this age is truth mixed with a lie. We can point fingers at self-righteousness in the world that naturally ignores God. But, what can we say about well meaning theology that creates God in man’s image? Or when we try to bring God down to our level making our thoughts His thoughts so we can lord it over our neighbors bringing ridicule upon God being false and haughty ambassadors. Look at us, we have no real unity. We are tossed about by every wind of doctrine and fearful superstition being divided into hundreds of denominations arguing every tradition of man making God’s truth of no effect. No wonder science and the world calls us ignorant and evil. Look at our history! We of little faith! Who is the greatest scientist? Can any man create the universe? Can any man create a human being from the dirt of the ground? OR create a woman from the bone marrow of a man’s rib? Can we raise ourselves from death? Do we give ourselves eternal life? Who are we to question God’s soverienity? OR His method of creation? Or how long it took Him to perfect what belongs to Him to His standard of perfection. If the earth and all the universe have been through cycles of thousands of years, so what? God planted a garden (a faith family) east of Eden. We trace that faith (with all the trials and tribulations) down through the ages as we best know it. Evidently until God says otherwise His grace is sufficent. We are in the time of grace. The time of reconciliation. A time of returning. We know the time of rest from creating for God was made for man. Not man for the cycles of sabbath rest. We know God will not contend with man in flesh, but so long. We’ve been instructed not to be overly concerned about times and days that are not in our control anyway. Why? We need to be concerned about our today and where we stand with our personal salvation today. We need to be doing everything we can in our calling today. IF we take our last breath today, our today is finished. IF the lightening flashes from the east to the west and we meet our salvation today is also finished. The only day we have any control over and that control is still limited (within the soverignity of God) is called today even though it has been (to the best of our knowledge) around 6,000 years. How long creation took to be at the present state is insignificant. The point is we exist. God’s Glory and the grace of human salvation in truth is the most important point. Until the church takes upon itself the business of self re-evaluation, deep repentence and knowing what it believes and why it believes what it proclaims it is nothing more than a white washed tomb. Thank you for reading and commenting. You make some good points yourself. My article was definitely written from a young earth perspective, and I realize there are other opinions and interpretations that exist also. The important thing is that we have given our lives to Jesus Christ. There is no salvation outside of faith in Him. One can have all his or her theological ducks in a row, but end up missing eternal life without Jesus. God bless you, Paul. Thank you for reading and commenting. I appreciate your sensitivity to my approach. I do not want to simply be considered right and someone else wrong. I am searching for the truth. This truth may be found places other than the Bible, but no truth can contradict the Bible. Therefore, I try to construct my worldview, and all my beliefs, based on biblical truth. I then try to present it in a way that engages people’s hearts and minds, helps them see that (whether my interpretation is correct or not) the Bible makes sense of the world we know, and creates a desire within them to know the Creator/Sustainer/Savior of this universe. I pray that I always encourage, and never discourage, people in their walk with Jesus. Once again, thank you Charles…and God bless you. The article is enlightening. The issue on evolution vs creation is my struggle as a biologist. We are taught about evolution in our courses and it is difficult to really defend your faith. You have no choice but to understand everything about evolution and its processes because it is part of the curriculum. As a christian, it can be a huge stumbling block to understanding and appreciating the wonderful work of God. On another perspective, the fact that the diversity of life that science says is a product of evolution really makes me feel grateful of the power of God. Indeed, He is amazing. Thank you for reading and your kind comments. You are definitely on the front lines, sir. It seems that too often creationists are met with ridicule and scorn rather than hard facts. I see the evolution/creation issue as critical in that non-believers use science to say, “See, the Bible can’t be true, science disproves it.” Of course, science does no such thing, but too often simply saying that will cause believers to doubt. You will be in my prayers. God bless you and keep fighting the good fight. Thanks for the kind response to my comment. I remember one of the discussions we had in class, though not necessarily about evolution stuffs but about God being an existing being. If God is someone who can be explained by humans, he is not worthy of the faith because we can control him and you know, we can predict what’s on his very mind. Even the full story behind creation is not fully known to us simply because we are not God. Using time to validate the truth of evolution cannot discount God. A million years to us may be just a day to God. Here comes the role of faith. We believe that God created us even though we did not see him during the time he created us. Christians must be watchful. Science can deceiving and it can lead us to doubting the very existence of God in our lives. It sounds like your faith in God is strong. Yes, if we could understand everything about God, then He wouldn’t be God, but it is the height of arrogance to think our finite minds could ever understand Him fully. If it weren’t for Him purposely revealing Himself to us we would be even more in the dark about Him. He is the Creator, we are His creations. Too many people want to elevate themselves up to god status, instead of worshiping Him like they should. James, keep the faith. God will never disappoint or abandon you. I’ll be praying for you. Keep in touch. I am glad to hear from you again! I am actually going through some serious struggles and I believe it’s only God who’s holding me that I can go through this situations. Can we be prayer partners? But I am not confident to share my concerns in this site. maybe we can communicate through private emails. Thanks! James, Robert is away for a bit but if you want to click on the “Contact” the administrators can forward any communication to him and to his email and so you can keep confidential your prayer request. I know Robert so very well and I am sure he would respond to your emails. I believe he may not be back for a couple of days or so, so just click the link at the top of the webpage where it says “Contact” and ask that it be sent to Robert. I will pray for you right now as an “unspoken needs” request because even if I don’t know what its about, and I don’t need to know, God does. God bless. This is such a great article. I am a Christian AND a biology major. I grew up in a Christian school, learning and studying God’s word, and now having to sit through so many biology classes and their theories. I have to really center and focus myself on the truths of the Bible. It’s a struggle to look past the evolutionary theory sometimes but I know God’s plan is for me to study the beauty of His creations in the biological world. It’s amazing to study even the smallest of His works. Thanks so much for writing this! Great to hear from you. I am always so encouraged when I hear from scientists who are also Christians. You are on the front lines of the battle between Christianity and secularism. I applaud you. I pray that God will give you the strength and guidance to be strong in your faith against the pressure you surely will encounter. By the way, we have nothing to fear from the Bill Nyes of the world, God’s word is truth and nothing will ever change that. God bless you. A non-Christian believes God did not involve in the direct creation of human beings but through evolution. The God that he or she believes will not be the same God as us. If God would ignore their salvation due to the God that they believe is not what He should be instead a modified version, he or she would not be saved though he or she thought she would. The same as muslims. They too believe in Jesus. But the Jesus that they believe is not the Son of God or God and did not die on the cross of salvation. Despite they believe in Jesus, they are not saved due to the so-called, Jesus, that they believe is not what He should be. As we know that Jesus is God, to falsify that God did not involve in direct creation of human beings is simply to falsify Jesus that he did not involve in direct creation of human beings. If Jesus would not them since the so-called, Jesus, that they believe is not what He should be in the past, this non-Christian would never be saved and be condemned eternally and miss the chance of salvation. It is a shame that people will construct a “Jesus” of their own imagination when He is presented so clearly in Scripture. The world must understand that our relationship is not with a theory or a propositions, it is with a risen Savior, who died on a cross to pay for our sins. God bless you, Zuma. I have a question. If Adam and Eve were the first humans and they were white then how are there black,Asian,brown colored skin people today? This was a question someone asked my pastor and they couldn’t answer it. Could you please tell me how there can be people of different races if Adam and Eve were white. Let me know what you think, Sam. God bless you. Some still can’t, or won’t, accept that we are all descendants of one couple…Adam and Eve. We are all part of the ‘human’ race. God bless you. I totally and completely agree with your article. I think that you missed an opportunity to dispel the “day age” myth, though. In the creation account, God tells us after each day of creation that there was “an evening, a morning, the X day”. This certainly contradicts any notion that arises from the misuse of the poetic passage that states “a day is like a thousand years, and a thousand years like a day”. Not to mention that this verse says not only is a very long time like a short time, to God, but that the reverse is true as well, that a short amount of time (a day) is like a thousand years, but when others misuse this passage, they tend to drop off the 2nd half of this statement, which really only means “time has no meaning to God, who created time itself”. You are absolutely right about the day-age issue, and you did a fine job of critiquing it. It’s difficult to hit all the nuances in an article of this size, however, with the addition of your comment, I think we have a pretty comprehensive summary of the topic. Thank you for your input and may God bless you richly. when you talk of fatal flaws i disagree with your conclusions although I do agree with a lot of what you present. For example on number 1) To say God took time for things to develop is in no way saying that things were not very good from the start even if God worked through time. Would you say at the moment of conception the child was not in the image and likeness of God and “very good” just because he/she will take time to fully develop? Time and level of development do not take away from the “very good” nature of the created. I can not speak for Robert, the author here, but why would God require time to create something? Maybe I am misunderstanding you J but time to God is as nothing. It is clearly obvious that Jesus did not believe in evolution and if you can believe in Jesus, which I do, then let His words prove it to you. Don’t believe me, believe what Jesus says. In Matthew 19:4-6, He answers the question about divorce from the Pharisees saying, “4 And He answered and said, “Have you not read that He who created them from the beginning made them male and female, and said, ‘For this reason a man shall leave his father and mother and be joined to his wife, and the two shall become one flesh? ‘ So they are no longer two, but one flesh. What therefore God has joined together let no man separate.” So God did not create amoebas after the amoeba kind or single-celled creatures after the single-celled creature kinds. Adam and Eve were created as mature adults, thus they could tend the garden and bear children and the garden already had fruit that was ready to eat. Adam & Eve are referred to throughout the Old & New Testament. By the way, the word used in the Hebrew for day is precisely a 24 hour period and not some “developing time period” (the Hebrew word for day is “yom”). If the meaning of the word “day” with a number always means a 24-hour period of time outside of Genesis 1, then it should also mean a 24-hour period of time inside Genesis 1. The words that Moses used to communicate what God did during creation are very significant. If Moses had meant to signify that the “days” were more than 24 hours in length, he could easily have done so. If we are to understand what Moses wrote, then the language he used must be understood in its normal meaning. The normal meaning is that of 24-hour periods of time as it is also used elsewhere. The use of a number with the word “day” is very significant indeed. From what I know this combination occurs 357 times outside of Genesis 1. The combination is used in four different ways, but each time it is used, it must mean 24-hour periods of time. If the combinations had been intended to mean long periods of time, both the texts and contexts then become meaningless. A typical verse is Genesis 30:36: “And he (Laban) set three days journey betwixt himself and Jacob.” God frequently issued commands that the people were to do or not to do certain things on a given day (“yom”). This use occurs 162 times. Why can we not just accept that God is able to create instantaneously, fiat, and not be required or encumbered with needing time. I know Robert and he, like me, take the Bible literally unless hermeneutics clearly indicate it is symbolic, allegorical, or parable-imagery. This too is a “hard saying” for many to believe, but I believe nonetheless. Your reference to Jesus being the Bread of Life in John 4 and we eating His flesh & drinking His blood, to believers, we find it not hard at all for it is prophetic in a sense of the coming New Covenant and the Communion because the symbolism is easy to see. Thanks J.
Jack is wrong here, um, I mean when he said that he can’t speak for me. Because he did speak for me (and I thank him for it). Jack, you took the words right out of my mouth. I could not have said it better, and I will only say that I completely agree with what you said. God created a perfect world the first time, His creation needed no improving. To think so would be to have too small a view of God. J, your analogy of conception does not really work, since everyone now is born into a sin-stained world. I do thank you for reading and commenting though, and I hope you have a wonderful Thanksgiving. Scientific Fact: Is basically what scientists believe to be true at the current time. Whooptee friggin doo. Doctors are the same way. There was a time when scientists believed rocks couldn’t fall from the sky, they thought we were the center of the universe and the world was flat. Yet somehow they remain smarter than all of us. Right. For those who say God doesn’t exist, prove to me that He doesn’t. Science is great at giving us observational facts; facts that can be observed, repeated, falsified, etc. However, when they enter the arena of creation, they are giving us philosohical opinions, not science. That’s where they overstep their authority. God bless you. I agree with Robert that scientific explanations must be based on observational facts. I also agree that sometimes (especially regarding certain areas of investigation, including origins) some scientists have presented philosophical opinions without distinguishing those from their genuinely scientific work. Both science and philosophy (and theology, for that matter) offer explanations, but they should stay true to their own discipline’s realm of knowledge. And indeed, scientific explanations (hypothetical explanations of the facts) are limited to those that can be tested using data obtained from physical observations and measurements of the natural world, and indeed those tests should be capable of falsifying the hypotheses. Great article btw. I’m in high school right now and i’ve been wondering how all the animals fit into Noah’s ark. I know it was big and all but did ALL the species of creature fit inside it? Here are a couple of Websites that can explain it far better than I can. I loved this article! It’s hard for people who aren’t Christians to believe creationism because they lack faith, which to me is sad. What is life without faith? But either way we look at it, old-Earth or new-Earth, as long as we trust in God and acknowledge what the Bible says to be true, I don’t think He’ll blame us for not knowing exactly how old the Earth is… Anyway, we can always ask Him once we get to Heaven! Oops, not new-Earth, I meant to say young-Earth! We know there were dinosaurs. Many of us have seen their fossils with our own eyes (unless you believe it’s all a conspiracy). We know they existed millions of years before humans walked the green earth. We can use radioisotope dating to get a relatively accurate age of rock up to approximately 700,000 years, and carbon 14 for living tissue up to about 50,000 to 60,000 years. We have found the remains of thousands of different life forms, which we can test and see that they lived thousands and millions of years before the literal biblical beginning. I have always had a “feeling” of God’s presence in my life and His presence in everything around us, but when I read your article, and the Bible for that matter, I have trouble fitting it together. I am interested to see how people come to terms with this. Thanks for reading and commenting. While it is true that dinosaurs existed (no conspiracy there), it is not true that their fossils are millions of years old. We must remember that there is an incredible amount of presuppositions (assumptions) inherent in the secular interpretation of the fossil record. In short, everything scientists have found in the fossil record can be interpreted in more than one way; the evidence can be interpreted in a way that excludes God (or anything supernatural), or the evidence can be interpreted according to a biblical worldview. In the secular view, all processes (chemical, physical, geological) have been occurring at the same speed we see them occurring now. Therefore, all landmarks and physical geography we see now must have taken an incredibly long time to become this way (in the secular/naturalist’s view). However, the Bible tells us that a great worldwide flood took place that changed the entire surface of the planet in a very short period of time (compared to the evolutionist’s time scale). So, who do we believe? Secular scientists, who reject the idea of God; or God Himself, who had given us the record of what really happened? Eugene, when one looks closely at the claims of evolutionists, and compares their theories with the theories of creation scientist, the biblical account actually makes more sense than any other option there is. Here are a few books that will help lay out the creation thinking on this, if you really want some answers. They are easy reading and very informative. Let me know what you think. “Refuting Evolution 1” by Jonathan Sarfati, Ph.D.
Also the websites ‘Answers in Genesis’ and ‘The Institute for Creation Research’ contain excellent articles also. I hope this assists you in your search for the truth. Let me know if I can be of any more assistance (assuming I have been any help thus far). God bless you, Eugene. Hello Eugene and with apologies to Robert who is the sterling author of this and many other excellent apologetic Christian articles, I would say that Jesus Himself did not believe in evolution. Why do I say that? You can find His answer in the scriptures. It is clearly obvious that Jesus did not believe in evolution and if you can believe in Jesus, which I do, then let His words prove it to you. Don’t believe me, believe what Jesus says. In Matthew 19:4-6, He answers the question about divorce from the Pharisees saying, “4 And He answered and said, “Have you not read that He who created them from the beginning made them male and female, and said, ‘For this reason a man shall leave his father and mother and be joined to his wife, and the two shall become one flesh? ‘ So they are no longer two, but one flesh. What therefore God has joined together let no man separate.” So God did not create amoebas after the amoeba kind or single-celled creatures after the single-celled creature kinds. In fact, Gen 1:25 says the same thing about animals, “God made the beasts of the earth after their kind, and the cattle after their kind, and everything that creeps on the ground after its kind; and God saw that it was good.” The cattle were not created or evolved out of some other kind but after their OWN kind. Of course a Christian’s salvation does not depend upon whether he or she believes in evolution or not, but whether he or she believes in Jesus Christ (Acts 4:12). Evolution and Jesus words are not compatible with evolution. God is Creator and He didn’t use happenstance or random events. Whether you believe in evolution or not, I pray you believe in Jesus Christ, because that belief holds your entire future in it. Here’s what is at stake. Take Blaise Pascal and read what is called Pascal’s Wager: “If you erroneously believe in God, you lose nothing (assuming that death is the absolute end), whereas if you correctly believe in God, you gain everything (eternal bliss). But if you correctly disbelieve in God, you gain nothing (death ends all), whereas if you erroneously disbelieve in God, you lose everything (eternal damnation).” I am putting all of my chips on the table, I’m all in, and I am staking my eternity on Jesus. What will hell be like? No light, outer darkness, for He is light. And separation from God will be hell enough…for all time. You can bet your life on Jesus. I just want to preface my comment with a short blurb. I am a Christian. I love Jesus and I want to be teachable and to submit myself to His Word. 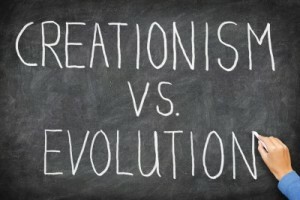 I know creationism and evolution are not salvation issues, and that working them out is not required for my salvation. I am content to say that Jesus is Lord and that the world was created by God and that I am sure of no more than that when talking about the creation of the world. However, I know that for some people the creation/evolution debate is the barrier for them coming to Christ. If they cannot work through the issues then they feel that they cannot accept the Bible and therefore must reject Christ. However, I cannot find a satisfying argument against what you have called ‘2. The Day-Age Theory’ and if I cannot reject that then is that not an acceptable way to present Genesis without making them outright reject evolution? In Genesis 1, day and night exist before God creates the lights in the sky. Without the sun, how can a day be 24 hours? 1. If each day is an age, then at the end of the ‘week’ or ages the world is no less than perfect as each step is complete at the end of each day/age. 2. Who was Cain’s wife? It was argued to me by someone else that evolution may have occurred but Adam and Eve were the first humans. That they alone were the beginning of what God called good. I couldn’t find any good rebuttal to that in the Bible. That there were others who were not quite human and who were not yet God’s likeness, but were part of the means that God used to create humans. 3. Did Jesus make my Grandchildren? Am I not part of God’s creation? The Bible tells me that I am, yet clearly I was also born from my mother and father. It is not clear to me how Mark 10:6 precludes evolution. I would genuinely love an answer to my comments. I want to know what the Bible says. Thank you Sarah…let me say that evolution and creationism is not going to prevent God’s saving someone. God alone draws men and women to Christ, not some non-essential issue (John 6:44) and a barrier to evolution and science will not prevent a person from being saved or not because Jesus told Peter that “because flesh and blood did not reveal this to you, but My Father who is in heaven” (Matt 16:17). If you believe that this prevents men and women from being saved then you have not read Romans chapter 8 and Ephesians chapter 1 because God effectively calls men and women to Christ and does not depend upon human reasonings. Some people think that God used evolution to create us. This type of thinking comes from the belief that scientists have proven that the earth is millions or billions of years old. Therefore, in order to harmonize the creation account found in Genesis (which says it all took place in a matter of days); non-literal scenarios have been concocted. Finally, of course God made your grandchildren as He did mine and He made you and me too. Why do you ask that? Obviously He did. And if God created them male and female then He didn’t create them hominids or Neanderthal but the words used by God in Genesis were “man” and mankind not after the “not quite human” kind but He created them after His own likeness and in His own image so you are you are wrong by saying that those who were “not quite human” were not yet God’s likeness. Not yet? Either God made Adam and Eve or He didn’t. I believe God not a theory. God made man after His own image. He did not create them “amoeba’s after the amoeba” kind and then have them evolve. There was a real Garden of Eden, there was a creation of man and woman, not those who were “not quite human.” The Bible says nothing about this at all so what do you believe? What theories state or belief or what God say which God cannot lie? I hate to see Christians believe in theories over what God says in His Bible. I have never said in this article that the earth is only 6,000 years old. I have no idea how old it is but I believe it could be much older than that. Hello Mrs. Singel. Although I am not the author of this fine article, please let me show you an article that addresses the Illuminati at: http://www.whatchristianswanttoknow.com/what-is-the-illuminati-conspiracy-theory-is-it-in-the-bible/ I apologize Robert for intruding into your sterling article but I wanted Mrs. Singel to see what we have written and researched into about the Illuminati Conspiracy to give her and daughter more on this. Please Mrs. Singel, forward this Illuminati link to your daughter. I believe it will give her peace of mind. Thank you and again, with apologies to Robert, the author of this article. Forgive my intrusion sir. Could you correct my statement? I should have proofread my comments to you better. Have edited your comment Susie. And again, thank you for your comments. You display by your words powerful evidence that you are full of the Spirit and are being lead by the Spirit and the Holy Spirit is working in you and through you! I was referring to your article when I wrote my comments. It was so good! I must have posted my thoughts on the incorrect page. Please accept my apologies for posting them after the wrong article. I will copy and paste my comment on the correct page. No problem Susie. I just love your enthusiasm for the Lord, Jesus Christ. Love it…and please no problem. No apologies necessary Susie. Wow…your humility and humble nature is so very Christ-like. I am so glad you found us. 1. I believe that God made everything. 2. I believe that evolution exists, and that God is orchestrating it. 3. I believe in a living God. Knowing that the people whose accounts are written in the bible are now dead, we cannot know everything that God is doing to the present times. We may know the history of it, but His story will go on and on and on and on. 4. I believe everything written in the bible, which means, there are things I don’t believe in science. Anything that contradicts the bible is, to my mind, either false, or misunderstood. In the end, everything I believe in SHOULD trace its way back to God. So, is something wrong about my beliefs? I would like to know if anything I believe in isn’t glorifying God. Thank you for reading and commenting. I can tell by your words that you seek to honor and glorify God with your life; therefore, I know you will find His will for you. We all make mistakes, some wrong decisions, but Jesus is always there to forgive us when we repent and come back to Him. The issue of creation or evolution is not an issue of salvation. One can be an evolutionist and be a Christian; it is our relationship with Jesus Christ that makes us Christian. However, I think the force of the biblical record coupled with the scientific evidence (not godless secular scientist’s interpretation of the evidence) makes a young earth (with geological features made by a worldwide flood) more reasonable than the secular idea that chance and time resulted in all we see around us today. I pray that you will continue to love and honor God. He will lead you in the direction He has for you, and you will glorify His name in the process. God bless you. Hi, I am intrigued by your article. I admit to being more of an old earth creationist. I believe that the universe could be any age old given that God created the universe which caused time and matter exist. Time is indifferent to God in that case. If he was immune to time before the universe started it would make sense to me that He now is not. When the Bible said 6 days to create the universe, I cannot take that literally. I can come up with many other instances in the bible where it is best not taken literally, so why take Genesis literally as well? The Bible says “turn the other cheek” but I image that is more along the lines of loving one another and forgiveness, not literally turning the other cheek when someone punches you in your face. I am confused on the lines of evolution though. I would also question when evil came into the world if God created it perfectly. An evil snake appeared in the garden, so we have evil! Where did that come from? I do not see how that can be taken literally either. There are many things to learn! Thanks again for the inspiring article! Thank you for reading and commenting. And thank you for your questions and concerns. I believe that civil discussion concerning doctrine and beliefs usually helps us to deepen our faith in God. Now, concerning the issue of young earth/old earth; I would encourage you to read some things on the Answers in Genesis website (http://www.answersingenesis.org/ ) and the Institute for Creation Research website (http://www.icr.org/) for some very compelling information for the Earth being very young and it having been created in six literal days. However, I would like to address your comments about evil entering the world. Let’s look closely at the event of sin [evil] entering the world. First, God DID create a perfect world. When He was done creating, He pronounced it ‘very good’ (Genesis 1:31 ESV). It was indeed paradise. Also, the Bible does not say that it was a ‘talking snake’ that tempted Eve, but rather a ‘serpent’ which was “…more crafty than any other beast of the field that the Lord God had made” (Genesis 3:1 ESV). The Bible tells us that Satan used this ‘serpent’ to communicate with Eve in order to entice her to doubt God and to disobey Him. This ‘serpent’ could very well have been a creature that we have never seen; or it might have been the precursor to our present day snakes. I don’t really know. Sin, and therefore evil, entered the world through the rebellious act of Adam and Eve [Romans 5:12]. Had Adam and Eve had stood strong against the serpent’s temptation, sin and evil would not have entered the world. Nevertheless, God has provided the cure for the problem of sin and evil; Jesus Christ paid for our sin. He paid the price that we owe for our sin. When we respond, in faith, to His offer of salvation, and trust Him with our entire being, our sin is paid for and we are born anew. I hope this helps, Matthew. Let me know and I will be happy to discuss with you further. God bless you. As you can tell, this subject interests me greatly and I intend to further research the history of the Bible. What do you think? Thanks a lot! Thank you Matthew for such a humble and concise comment to Robert. I think that your hunger for the truth is going to send you to a place where you will be utterly convinced and I see that your humility and hunger for the truth is so genuine and I believe God may be using you in a way for His glory in the near future, if not already. I thank God for Robert too for this godly man of faith is so intelligent in his writings and he is a glory to God for all that he does and is doing. I thank God for men of faith like you to sir that show such kindless in love and attitude and I wish we had more godly men like you brother. Jesus said that you will know them by their fruits and their love for one another and I see both and so my thanks to you and I appreicate your response and please do come back again sir. thank you so much Mr. Driskell, I have to do a report on evolution and creation and this helped so much. thank you again! You are more than welcome and I pray that God will use both my article and your report to draw more people to Him. God bless you, Mathew. I just stumbled upon this article since I have my first Creationist student in my high school science classroom. This student absolutely refuses evolution. Now, I admit I didn’t read your entire article (it’s quite long and full of Bible verses which dull me) but I think I got the main idea. Hopefully, I can clear things up because I think evolution and Creationism can work together well as long as Creationists are willing to nudge themselves just a little bit. For started, evolution is a process. Scientists don’t say who created this process. Thus, it could be God’s process; predetermined or set up to run wild, whatever you like. Secondly, Adam and Eve can be a metaphor for not when humans appeared on this Earth as humans (because we evolved) but when humans got their “soul.” Thirdly, evolution is a theory, which in science is not a “guess.” It’s a set of ideas backed by GLOBAL evidence, data, observations, experiments, inferences, and so on. You can’t accept the science that went into your cell phone, but deny this particular science. In other words, you can deny gravity (gravitational theory) or the atom bomb (atomic theory) all you want, but jump off a building or stand next to a bomb, and you’ll be dead. I could go on, but I don’t know if anyone is going to read this….so there ya go. First, thank you for reading and thank you for commenting. I appreciate your civil tone and will attempt to respond in like manner. I’m going to respond to some comments individually, if I might. My response: Judging by your words so far, I assume you are a high school science teacher. I find it interesting that someone who teaches the scientific method would not even look at the evidence for Creation before attempting to disprove it. I think this highlights one of the problems with many who trust the theory of evolution; they approach the research with minds that are already made up. They have already decided that evolution is true. Therefore, any facts they encounter MUST be interpreted in this light. My response: Interesting, you begin by asserting that it is the Creationist who must relinquish his or her stance. In other words, you begin the conversation by saying that Creationists are wrong and then you proceed to say why. There are good philosophical reasons to believe that God created the universe; why should believers be required to surrender their position at the outset of the discussion? We believe that it is quite reasonable to believe in God; our faith is not blind…as many skeptics would assert. My response: There are several definitions of the word “evolution”. The kind of “evolution” that will not mix with Creation is the naturalistic/secular/materialistic view which says that the universe, and everything in it, has come about by random, unguided, processes without the need for God. The Bible clearly says that God created the universe; therefore, this puts the naturalistic theory of evolution directly at odds with Creation. (Most believers have no problem with microevolution [adaptation within certain boundaries]; however, it is macroevolution [one kind of animal evolving into a different kind of animal…or man] that conflicts with creation. My response: In this sentence you assume what you are trying to support by saying “(because we evolved)”. That assumption has not been accepted by many intelligent and thoughtful people. Also, while your suggestion is possible in an evolutionary worldview, it doesn’t line up with the biblical record. Jesus and Paul both refer to Adam and Eve as real people; therefore, if we believe Jesus and Paul, we must say that Adam and Eve were not merely metaphors but actual people who actually lived in history. My response: Actually, that is not true. I fail to see how biological evolutionary theory has anything to do with cell phone construction, but maybe you could enlighten me. Nevertheless, the science that went into my cell phone is also observational science; I can test it in the here and now. Evolutionary science is historical science; it cannot be tested (neither can Creation science), it happened in the past and cannot be replicated in the present (it is agreed that adaptation is happening currently; however, this adaptation has never been observed to result in one animal ‘evolving’ into another animal…or man). My response: I am always interested in people, their lives, and their ideas. The Bible tells me that I should be ready, “…to make a defense to everyone who asks [me] to give an account for the hope that is in [me], yet with gentleness and reverence” (I Peter 3:15). So, I am more than happy to converse, discuss, debate, etc. as long as civility is the overall tone. Anyway, maybe you should read my article, read the Bible, listen to your Creationist student, and see where the evidence truly leads. The theory of evolution cannot forgive sins, Jesus can. Whether or not we believe in evolution will matter little in eternity; whether or not we trusted Jesus Christ for salvation will.